20 blueberries / note to self: please count them one by one and don’t cheat! 1 little spoon of moringa / ‘cause it’s good for your body and it’s green, literally! water / to make your smoothie… smooth. Let’s clear things up: I am not moving my career into the food industry. I am also not planning to become a chef anytime soon. To be quite honest with you, I don’t really like to cook that much. I just simply, very candidly, and authentically adore this mostly colorful and tasteful blend of fruits, seeds and…that’s pretty much it, but there is more to that mix. But let me start from the beginning: I didn’t always love smoothies. Until I moved to New York City, I had never even tried one before! That was 2014. I was struggling to eat healthy. I was going into bakeries and cafes every day to get a snack to-go, or sitting down at random restaurants just to get something into my body. 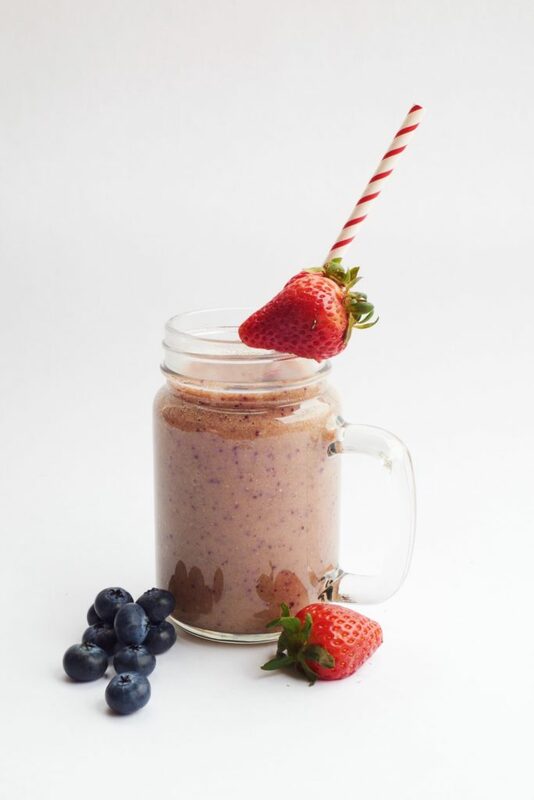 The first time I had a smoothie, I immediately knew it was perfect for me: it was love at first taste! You see, the wonderful thing about smoothies is that you can have them anywhere and at any time of the day. Not to mention they are time savers. They are the perfect solution for a busy schedule. They are casual and easy. Also, they are packed with large amounts of vitamins and nutrients in one single cup. Once I moved back to Bogotá, I decided to make my own smoothies. The recipe you find above is one of my favorites. It’s very basic so don’t get too excited, but basic is the best way to go sometimes, and this blend really is at the top of my list. But what I like is the idea of the mix, as it happens to me in real life: some time with my friends for a portion of fun, a trip to a new country for many portions of unknown experiences and new colors and flavors, the sweet touch of the time spent with my boyfriend and the energy of working with new teams on new projects. As much as smoothies are colorful, enriching, and never boring, so is life! I say that you try them, with your own ingredients: your selection of fruits and seeds for your favorite smoothie, and your unique blend of people and experiences, to enjoy life to the fullest. Pau felicidades por tu blog me encanta todo!! Sería super si tu blog estuviera en español también. Y porque no esta en español ? por que estas en la version de ingles, en la parte de arriba puedas darle español y todo el blog te sale en español, incluso aparecen mas comentarios en esa version.